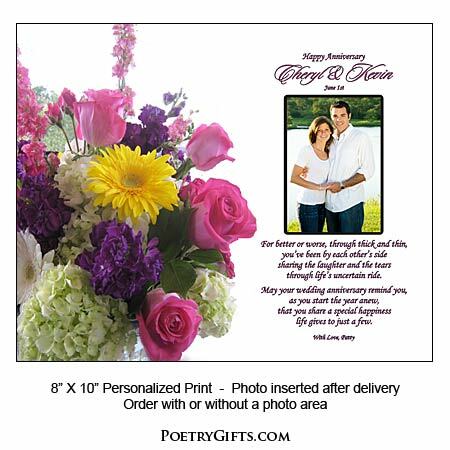 An Exceptional Anniversary Gift Idea! 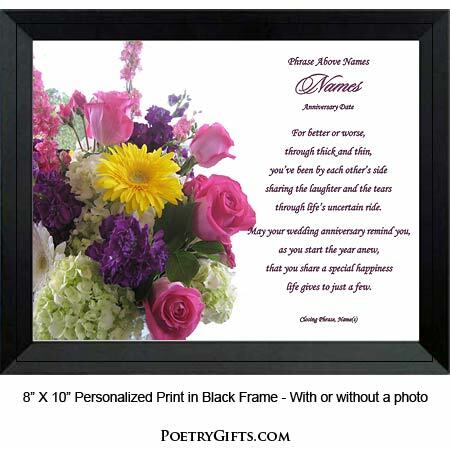 This beautiful flower bouquet design and personalized anniversary poem is a very fitting present for mom and dad, grandma and grandpa, daughter, son, other family members and friends. When you add a photo of the couple, it truly becomes a treasured anniversary keepsake. 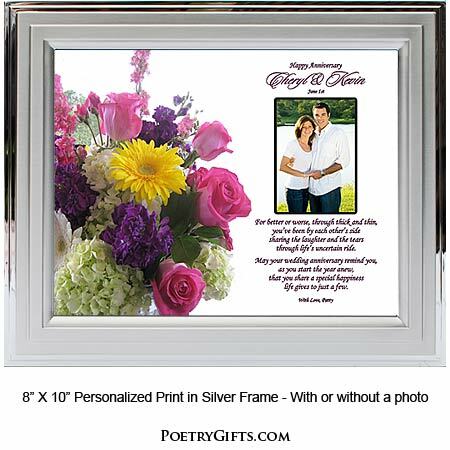 Frame the 8" x 10" poem yourself or choose from one of our contemporary frames. 3. 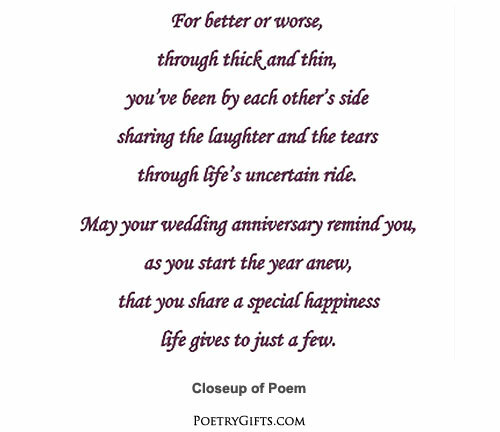 Closing Phrase and Your Name(s) (as seen after poem) - (Examples: Continued Best Wishes, Bob and Jean; We Love You, Jack, Sara and Kids; etc.)" Our friends really liked it. Found this website by chance and i was glad i did. Unique gift to give my son and his wife. It really made an impression.